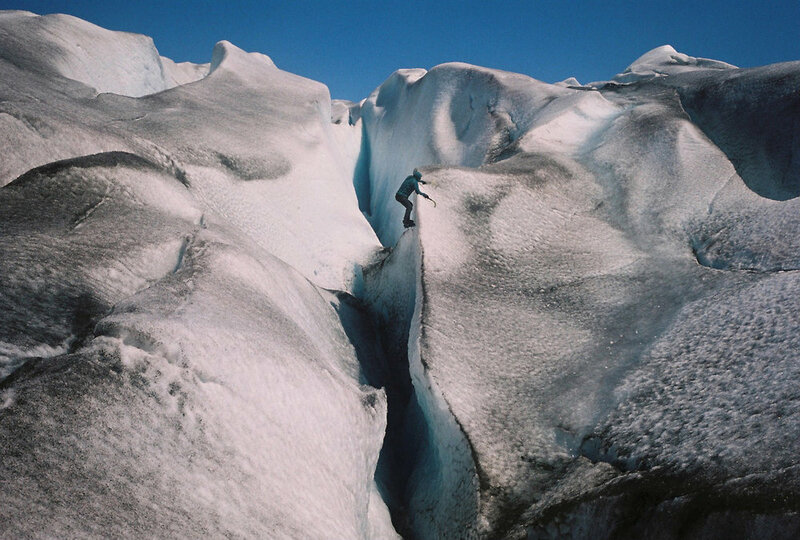 The latest exhibition at the*kickplate*project's 76m² Gallery in Pontypool is 64°north - a solo exhibition by Carmen Marchena Alonso, a Spanish photographer, mountaineer and climber. The exhibition features her analogue work from Iceland, the Pyrenees and, prevalently, Greenland, where Carmen travels every year and where she sometimes works as a guide, exploring the fjords, glaciers and icy seas around the island. Using her camera and experimenting with different types of film, Carmen captures beautiful and surreal landscapes full of colours we wouldn't expect to see in a place known better for being blanketed in white snow and ice. The exhibition runs from Tuesday 3rd – 25th April 2018. 64°north is the third in a series of 9 exhibitions that will be organised in 2018 in 76m², Pontypool by the*kickplate*project, with the support from the Arts Council of Wales, Torfaen Council's Arts Development and Pontypool Community Council.